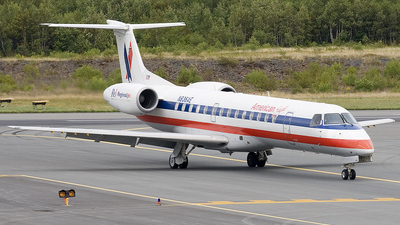 An Envoy Embraer ERJ-135, registration N836AE performing flight MQ-3956/AA-3956 from Dallas Ft. Worth,TX to Lake Charles,LA (USA), was accelerating for takeoff from runway 17R when the crew rejected takeoff. The crew advised no assistance was needed, vacated the runway and told tower they had hit something on the runway. The aircraft departed about 90 minutes later and landed in Lake Charles with a delay of 85 minutes, however, is still on the ground in Lake Charles since about 42 hours later. The FAA reported the aircraft rejected takeoff after hitting an object on the runway. The damage was unknown. An Iberia Airbus A320-200, registration EC-LRG performing flight IB-3134 from Madrid,SP (Spain) to Dusseldorf (Germany), departed Madrid’s runway 36R when the right hand engine (CFM56) ingested birds causing 5 bangs while the aircraft climbed out. The crew shut the engine down, levelled off at 6000 feet and returned to Madrid for a safe landing on runway 32L about 15 minutes after departure. A replacement A320-200 registration EC-IEG reached Dusseldorf the following morning with a delay of about 9:15 hours. 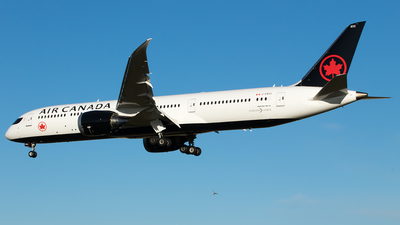 An Air Canada Boeing 787-900, registration C-FRTU performing flight AC-848 from Toronto,ON (Canada) to London Heathrow,EN (UK) with 298 passengers and 10 crew, was enroute at FL290 near Quebec City,QC (Canada) when a passenger dropped his eReader down into the seat mechanism and subsequently moved the seat which damaged the eReader. The battery overheated and the case started to melt, smoke emanated from the device. Cabin crew using 2 smoke hoods and 2 portable fire extinguishers were able to control the fire until they retrieved the device from the seat mechanism and placed the device in a Portable Electronic Device Fire Bag. The flight was able to continue to destination. The Canadian TSB reported maintenance replaced the seat cover as well as all emergency equipment used. Sky Lease flight GG4854, a Boeing 747-400F, suffered a runway excursion after landing at Halifax International Airport, Canada. The aircraft departed Chicago-O’Hare International Airport, USA at 07:02 UTC (01:02 local time) and arrived near Halifax about 09:00 UTC (05:00 local time). The controller cleared the flight for an ILS approach to runway 14. After touching down the aircraft was unable to stop on the remaining runway. It overran the end and traveled down a grassy slope. The aircraft impacted an antenna array before coming to rest about 200 meters pas the end of the runway. The aircraft suffered substantial damage. Photos from the scene show the fuselage broke behind the wings. The no.2 and no.3 engines (both inboard) as well as the undercarriage was ripped off. TSB investigators retrieve the flight data recorders of the crashed SkyLeaseCargo 747 at the end of runway 32at Halifax Stanfield International Airport Thursday morning. The aircraft struck a localizer antenna during the overrun and it landed with the gear collapsing, two engines separated and the aircraft’s remaining engines were substantially damaged. The Transportation Safety Board of Canada will analyze everything from weather and runway conditions to pilot fatigue and crew decisions in its investigation into a cargo plane overrunning a Halifax airport runway early Wednesday morning. “It is important that we don’t speculate or draw conclusions about causes,” Austin Adams, the lead investigator of the 15-member TSB team, said at a news conference at a hotel near the airport Thursday morning. The Boeing 747 400 series aircraft operated by SkyLease Cargo careened off runway 14-32 during a landing at 5:05 a.m. Wednesday, coming to rest about 210 metres past the end of the 2,346-metre landing strip. TSB team members were busy gathering information in and near the plane as the news conference convened. The crashed plane’s nose was less than 100 metres from the Old Guysborough Road and the overrun kicked up dirt and debris in the area. “There were reports of minor injuries of the four crew members and the aircraft was substantially damaged,” Adams said. Neither Adams nor Halifax International Airport Authority spokeswoman Theresa Rath Spicer could provide an update on the condition of the crew members. Adams reported that there was a 33-kilometre-an-hour westerly wind blowing and it was raining when the empty cargo plane arrived from Chicago. Runway overruns are nothing new for TSB. Adams said there have been an average of nine per year in Canada since 2013. “These can lead to aircraft damage, injuries and a loss of life. The consequences can be particularly serious if there is no adequate runway end safety area (RESA) or suitable arresting material,” he said. Transport Canada recommends a 150-metre RESA at the end of all airport runways while the International Civil Aviation Organization recommends 300 metres. The runway end safety area at the Guysborough Road side of the east-west runway that the SkyLease plane overran is 140 metres. “So, it does not quite meet the Transport Canada recommendation of 150 metres,” said senior TSB investigator Isabelle Langevin, who joined Adams for the news conference. Rath said it is important to note that the 150 metres is a recommendation for a runway end safety area, a relatively flat, graded area free of non-essential airport objects that extends beyond the runway. Rath said Transport Canada currently requires a 60-metre strip beyond runways and the four ends of the two Halifax airport runways meet or exceed that standard. Transport Canada is expected to introduce a 150-mete RESA requirement in an upcoming edition of its regulations, Rath said. The opposite end of the secondary runway from where the crashed plane sits already complies to the anticipated 150-metre requirement. She said the authority has also upgraded one end of the 3,200-metre 05/23 main runway that runs north and south. 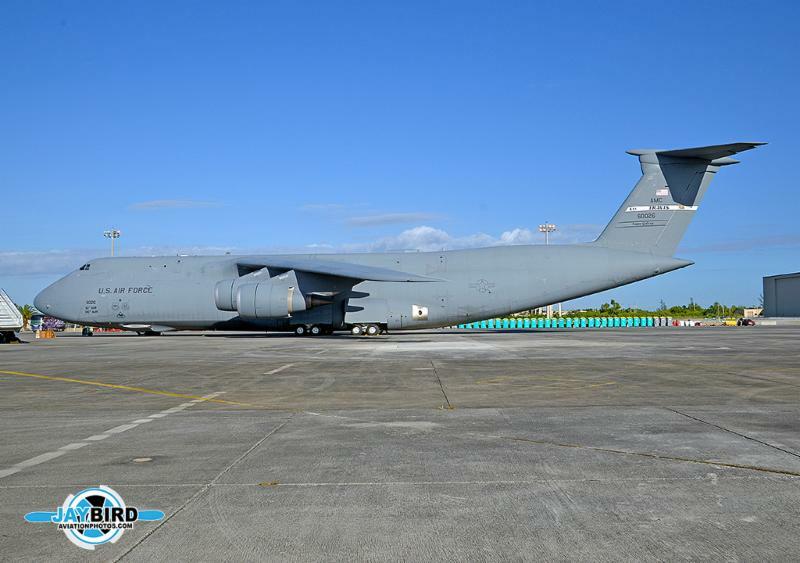 “Next year, we will complete the other two, one on our secondary runway and one on our main runway,” Rath Spicer said. Meanwhile, Adams said the TSB crew in the coming days will download and analyze the data from the cockpit voice recorder and the flight data recorder and conduct interviews with the flight crew, witnesses, air traffic control workers and other airport personnel. SkyLease, has to determine how they are going to move that aircraft out of that space. Then we would work to reopen our secondary runway. TSB has investigated 19 of more than 135 runway overrun accidents in Canada in the past 14 years, including three at the Halifax airport. Adams said neither of the past two Halifax investigations identified airport features that contributed to the crashes. He also said local weather conditions in Halifax are no more challenging than in other parts of the country for pilots landing planes. Adams said TSB does not keep a scorecard of which aircraft operators have had how many overrun occurrences. But the human factor always comes into play. Adams said it is difficult to estimate how long the investigation will take and when the aircraft, which sustained a “minimal” fuel leak could be removed from the site. Rath Spicer said cancelled flights Wednesday evolved into long pre-boarding lineups Thursday. “Our operation has begun to normalize,” she said. Adams was asked why the flight crew might have chosen the secondary runway to land instead of the longer main landing strip. “As part of our assessment and analysis we are going to ask the decision-making process of why they had chosen that runway,” said Adams, describing the landing conditions as a crosswind with the potential of a quarterly tailwind. Less than half a kilometre northeast of where the plane came to rest, a man living on Oldham Road, just off Guysborough Road, said he didn’t hear the crash but its proximity leaves him uneasy. “It just makes you wonder,” he said. There had been a suggestion from another Oldham Road resident that the airport authority should buy out the area property owners. “At this time, there are no plans to purchase residences in the vicinity,” Rath Spicer said. “The homes in question are not in the direct path of either of our runways. The Federal Aviation Administration’s emergency 737 Max order describes the confusing circumstances that could result from a faulty angle-of-attack indicator. The order, issued 7 November, also describes steps pilots should take to recover in the event that faulty indicators cause what the FAA calls “runaway stabiliser”. The FAA issued the order following the 29 October crash of a Lion Air 737 Max 8, which killed 189 people. Investigators have pointed a finger at faulty airspeed or angle-of-attack indicators. The order notes that the 737 Max’s flight control computer handles the aircraft’s pitch so as “to improve longitudinal handling characteristics”. But, an analysis by Boeing found that the flight control computer, should it receive faulty readings from one of the angle-of-attack sensors, can cause “repeated nose-down trim commands of the horizontal stabiliser”. The aircraft might pitch down “in increments lasting up to 10sec”, says the order. When that happens, the cockpit might erupt with warnings. Those could include continuous control column shaking and low airspeed warnings – but only on one side of the aircraft, says the order. The pilots might also receive alerts warning that the computer has detected conflicting airspeed, altitude and angle-of-attack readings. Also, the autopilot might disengage, the FAA says. Meanwhile, pilots facing such circumstances might need to apply increasing force on the control column to overcome the nose-down trim. The FAA’s directive orders airlines within three days to update flight manuals to include specific steps pilots should take to recover. They should disengage the autopilot and start controlling the aircraft’s pitch using the control column and the “main electric trim”, the FAA say. Pilots should also flip the aircraft’s stabiliser trim switches to “cutout”. Failing that, pilots should attempt to arrest downward pitch by physically holding the stabilizer trim wheel, the FAA adds. Boeing has declined to comment following the FAA’s order. 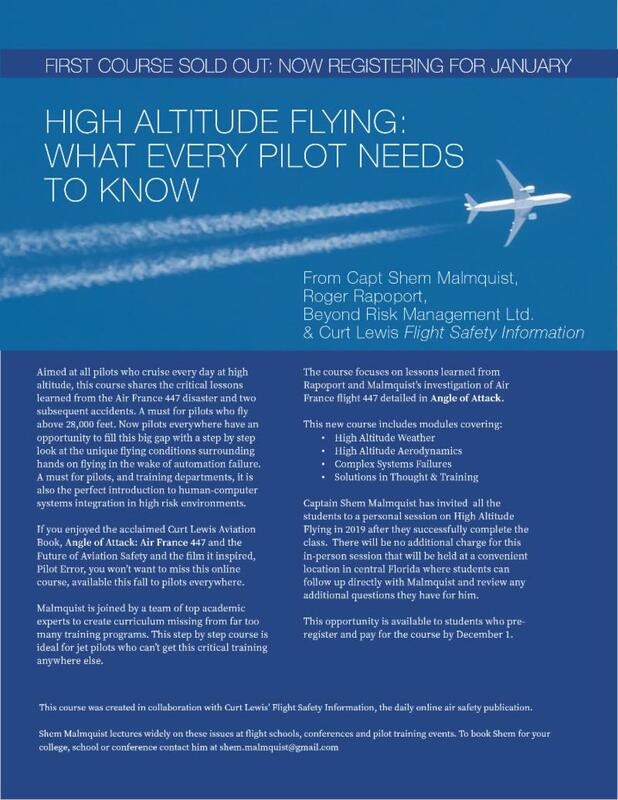 The company on 6 November issued a service bulletin describing “existing flight crew procedures” for dealing with faulty angle-of-attack inputs. Boeing says it is assisting with the investigation. Search and rescue workers carry wreckage from Lion Air flight JT 610 to a truck to be transported to a warehouse for further investigation at the Tanjung Priok port on November 2, 2018 in Jakarta, Indonesia. Boeing said on Wednesday it had issued a safety bulletin reminding pilots how to handle erroneous data from a key sensor in the wake of last week’s crash in Indonesia. The U.S. planemaker said investigators probing the Lion Air crash off the coast of Indonesia, in which all 189 on board were killed, had found that one of the “angle of attack” sensors on the Boeing 737 MAX aircraft had provided erroneous data. Experts say the angle of attack is a crucial parameter that helps the aircraft’s systems understand whether its nose is too high relative to the current of air – a phenomenon that can throw the plane into an aerodynamic stall and make it fall. Three hundred people from across the European general aviation community attended the 2018 European Aviation Safety Agency (EASA) Annual Safety Conference in Vienna, Austria, earlier this week. During the two-day event, the agency reviewed progress and set out its future commitments for the “GA Roadmap,” an initiative launched in 2014 that EASA says aims to provide “innovative, better, cheaper and safer General Aviation (GA) in Europe.” In addition, the agency explored plans and ideas on how to foster the development of more affordable, yet modern aircraft. 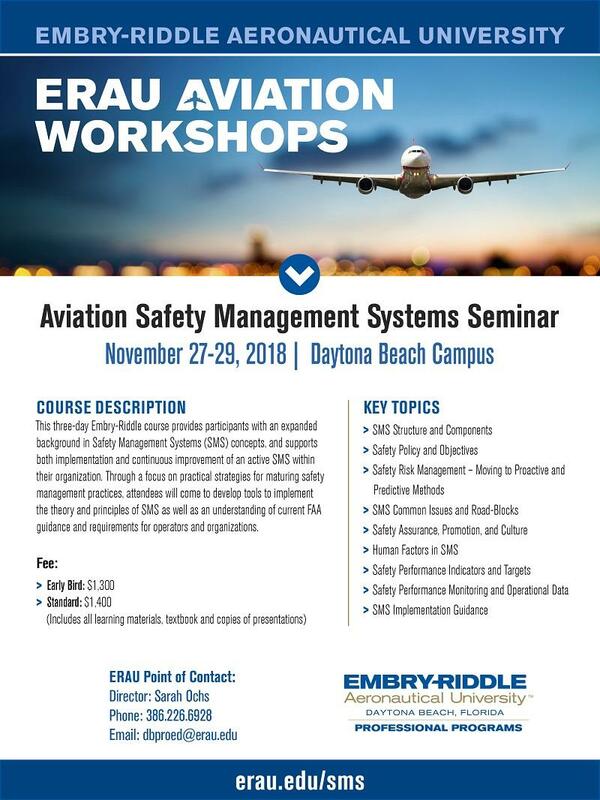 According to EASA, the conference is one of the ways it seeks to engage with the industry on the evolution of GA during a time of rapid technological advancement. An array of European GA manufacturers, developers of hybrid and solar-powered aircraft, UAV and air taxi companies, and cost-sharing platforms-as well as GA associations and policy representatives-participated in the conference’s panels and seminars. Topics under discussion ranged from of how to share available airspace to how startup aviation businesses can be encouraged to improve aviation safety. The keynote speaker for the event was André Borschberg, who is the world record holder for the highest altitude solar-powered flight and for the longest solo flight in an airplane of any kind. EASA’s Executive Director Patrick Ky closed the conference on Wednesday, showing appreciation for the truly collaborative spirit of all stakeholders. The FAA is examining how it approaches enforcement and fines for violations involving illegal charter operations that are unwilling or unable to comply with the regulations, a senior agency official told the NATA 2018 Aviation Leadership Conference this week. 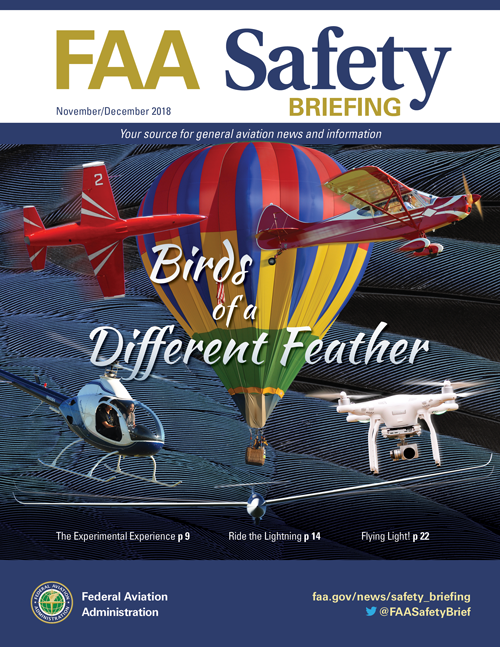 “Of late there’s been a reexamination of how much regulation is appropriate,” said John Duncan, FAA deputy associate administrator for aviation safety.FAA enforcement was one of a number of issues highlighted during the Aviation Leadership Conference, which also delved into tackling workforce issues, looking at new models of service, and elevating the safety of Part 135, among others. More than 100 registrants were attending the event that included the participation of NTSB chairman Robert Sumwalt and many other business leaders.New NATA president Gary Dempsey kicked off the event Wednesday, joking that leading the event for the first time “feels like my instrument checkride when I was 20 years old” and adding he was excited to be there. When asked about what FAA has been doing about illegal charter operators, Duncan said the agency’s approach is to make sure operators have the proper understanding and education on how they need to comply. 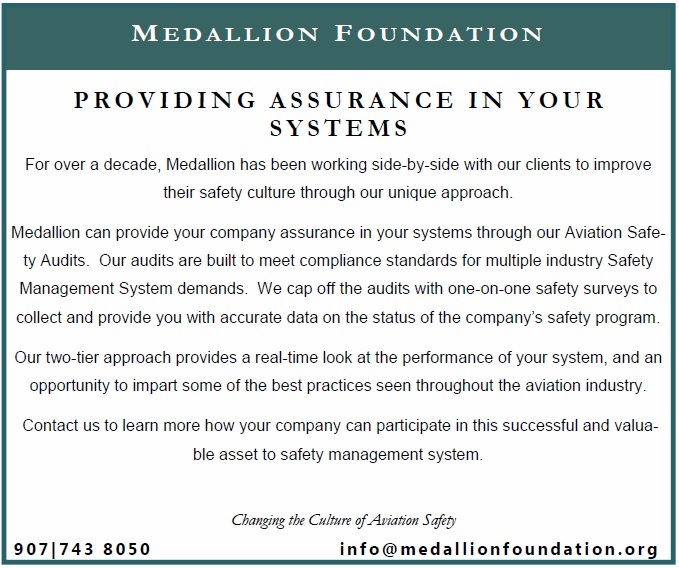 The FAA can approach compliance issues through its non-punitive Compliance Philosophy that establishes compliance actions, rather than enforcement, to address the problems, he added. However, if the operator is unwilling or unable, he said, then the agency will use enforcement to either rehabilitate or move those operators out of the system. A concern though, Duncan added, is “if the event is not scary then the dollar amount is driven down.” Over the past 10 years, the FAA has dealt with 288 such cases and the civil penalties combined for $10 million. Duncan pointed to a recent civil penalty involving a second case against an operator for $600,000. In his thinking, he said, that penalty should have been $6 million. “We’re actively working…to talk about how we can press the building of what amounts to new [regulation] that unwilling or unable is the highest safety risk in the [national airspace system].” He added he had a meeting also on Wednesday to discuss the issue. The session will be a deep dive into one helicopter accident, an analysis of the tragedy of three lost lives, and a recognition that many operational decisions during a flight are not black and white choices. On Saturday, Dec. 1, at the Arizona State University Polytechnic campus in Mesa, Ariz., Tina Buskirk of the FAA Flight Standards District Office and Jeff Hurd of PHI Air Ambulance will lead an in-depth 90-minute session about a safety-conscious helicopter pilot who died while trying to fly a very noble mission. They will use extensive NTSB accident reports, photos, animation, and pilot background materials as participants weigh the consequences of each operational decision. The session is sponsored by the IHST as part of an initiative reviewing accidents that happened to good pilots who often were trying to do great deeds with their helicopters. Participants will analyze the decision-making processes that can lead to disaster and determine what they can do to avoid falling into similar traps. What is learned here could save lives. This free event begins at 9:30 am on Saturday, Dec 1, in the Cooley Ballroom (5999 S. Backus Mall) on the Mesa campus of Arizona State University Polytechnic. There will be speaker and audience discussion and interaction and refreshments will be provided. All pilots and student pilots are welcome to participate. This will be the first in a series of interactive workshops supported by the IHST and aimed at decision-making issues faced by helicopter pilots before and during their flights. During 2019, more workshops will be planned for locations in the United States, Canada, South America and Europe. ATR and Air New Zealand have signed an agreement to explore the potential for hybrid propulsion to be used in regional aircraft. Under the agreement, the parties will consider the development of hybrid technology and how they might be supported in operations as they come to market in future years. “Hybrid aircraft are expected to enter the market in the next decade or so,” says Air NZ chief executive Christopher Luxon. 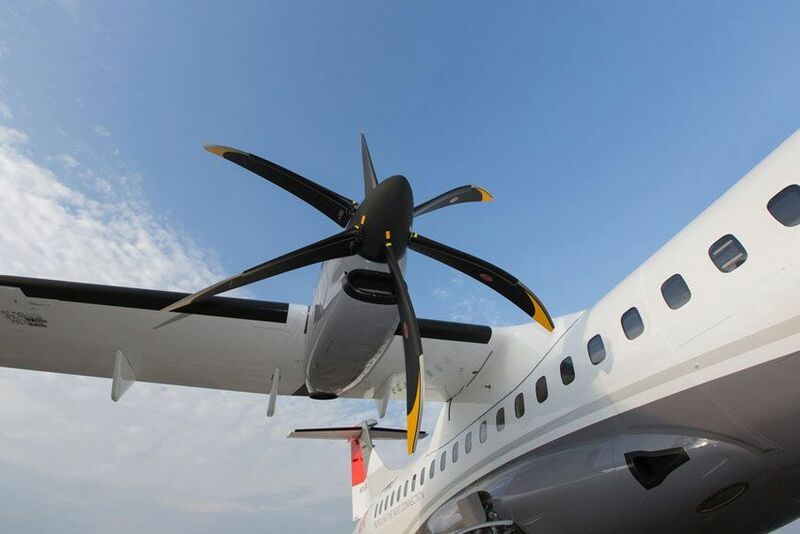 ATR chief executive Stefan Bortoli says that hybrid and electric propulsion are likely to play a role in the future development of regional aircraft. Air NZ subsidiary Mount Cook Airline has been a longtime operator of ATR aircraft, and Flight Fleets Analyzer shows that it has 28 ATR 72s in service and eight more on order. Abigail Harrison, also known as Astronaut Abby, is a public speaker and undergraduate studying astrobiology with the hopes of someday traveling to space.By aiming for Mars, 21-year-old Abigail Harrison hopes to inspire young women on Earth to pursue their own dreams.Harrison, also known as Astronaut Abby, serves as an advocate for STEM (science, technology, engineering and math) and has been publicly aspiring to be the first person to visit Mars since she was 13 years old. Ahead of National STEM Day (Nov. 8), she talked with Space.com about college life, role models and, as she put it, dipping one’s feet into the solar system. In 2011, at the age of 13, Harrison began speaking publicly about her dreams of becoming the first astronaut on Mars. 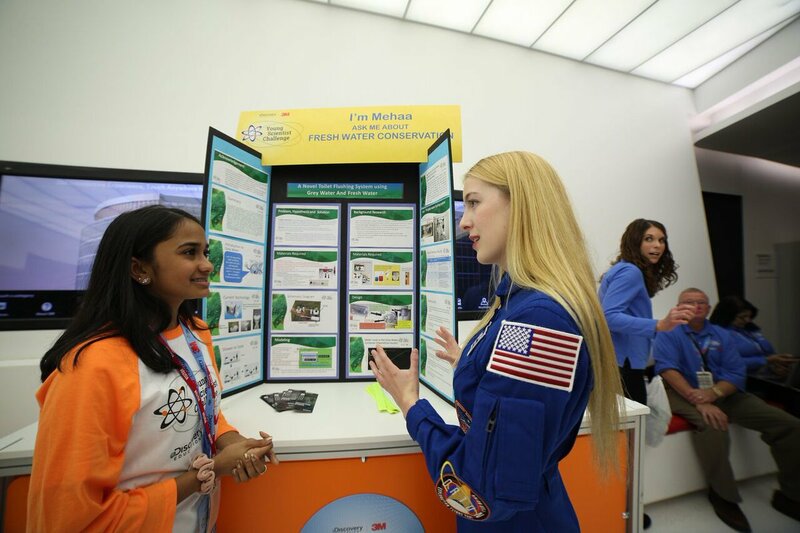 At the age of 18, she founded a nonprofit called The Mars Generation, which builds excitement around STEM careers and supports space exploration. She is currently studying astrobiology and Russian as an undergraduate. This past summer she worked in the Schuerger Lab at the Space Life Sciences Lab at NASA’s Kennedy Space Center in Florida. She studied bacteria that could live under extreme conditions to understand how scientists might avoid contaminating Mars, as well as how they might effectively search for life beyond Earth. Certainly impressive. But what choices made this possible? For one, she transferred to find a better educational fit. After spending two years at the University of Minnesota, she left the big school. Harrison said she wanted to shift to a smaller institution to get more one-on-one experience in the classroom. Harrison said she would “hands down” choose to repeat that decision. “Teaching liberal arts in conjunction with STEM is important … it helps us to be able to connect what we’re doing,” so that lessons set students up for the full scope of a STEM career, Harrison said. She said that it’s important for liberal arts colleges and STEM-focused schools to foster “integration” of the expressive arts into science, technology and engineering studies. Abigail Harrison, also known as Astronaut Abby, is pictured here (left) with retired astronaut Mae Jemison (right) at the Intrepid Sea, Air & Space Museum on Sept. 22, 2018. Former astronaut Mae Jemison made a deep impression on Harrison when the two met in September of this year. “Meeting her was this incredibly inspiring experience,” Harrison said. During the launch of the “Defying Gravity: Microsoft HoloLens Women in Space” exhibit at the Intrepid Sea, Air & Space Museum in New York, Harrison watched Jemison, the first black woman astronaut, talk about the history of female space travelers. “Dr. Jemison is this incredible woman who has a lot of passion and knowledge,” Harrison said. Along her journey, Harrison’s biggest surprise was learning that messing up is part of the process in STEM, she said. “We’re all going to fail,” she said. “That sounds terrible, doesn’t it?” Harrison clarified that the idea isn’t that an eager STEM student will fail overall, “but you’ll hit a wall, and it’ll be too much for you at the time. Having dreamed of reaching Mars since she was a kid, Harrison said her enthusiasm for space exploration is more nuanced now. In addition to the endeavor’s undeniable cool factor, Harrison said she also now appreciates that exploration is fundamental to human nature and can produce new scientific by-products in space engineering and other fields. “Dipping our toes in the solar system,” she said, can inspire an entire generation to learn more about the world. The United States government is a massive employer, and is always looking for qualified candidates to fill a wide variety of open employment positions in locations across the country. Below you’ll find a Qualification Summary for an active, open job listing from the Department of Transportation. 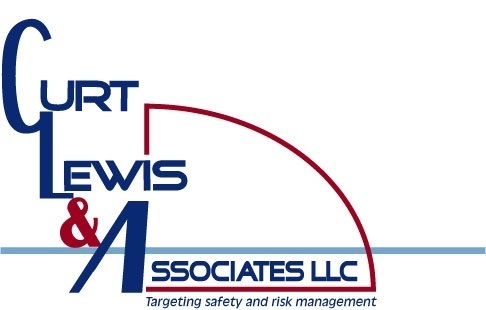 The opening is for an Aviation Safety Inspector (Cabin Safety) in Des Moines, Washington Feel free to browse this and any other job listings and reach out to us with any questions! General Requirements for All Positions:Not more than two separate incidents involving Federal aviation regulations violations in the last 5 years;Valid State driver’s license;Fluency in the English language;No chemical dependencies or drug abuse that could interfere with job performance; andHigh school diploma or equivalent.Medical Requirements: Applicants must be physically able to perform the duties of the Aviation Safety Inspector position in a safe and efficient manner, and must meet all of the following requirements:Have good distant vision in each eye and be able to read printed materials the size of typewritten characters (glasses and contact lenses permitted) without strain;Have the ability to hear the conversational voice (hearing aid permitted);Not have any physical condition that would cause them to be a hazard to themselves or others or that would interfere with their ability to fly as passengers in a variety of aircraft.In addition, applicants for positions that require participation in the operation of aircraft must:Possess a valid second-class medical certificate in accordance with Federal Aviation Agency (FAA) regulations; andPass recurrent medical examinations as prescribed by the FAA.Applicants not requiring valid second-class medical certificates who are tentatively selected will be required to:Provide documentation from a board-certified physician certifying that they meet the minimal medical requirements; orIndividuals who do not meet the minimum medical requirements but who are otherwise qualified will receive an individualized assessment to determine whether they can perform the essential functions of the position.Specialized Experience Requirements for FG-12 or Equivalent Grade Level/Pay Band. In addition to meeting the basic requirements, applicants must possess three years of specialized experience in a passenger-carrying multi-engine aircraft over 12,500 pounds gross takeoff weight, which provided experience in each of the three categories as described below. a. Experience which provided a comprehensive knowledge of all the following:Cabin Safety policy;Flight attendant air carrier duties and responsibilities;Cabin safety operations;FAA regulatory requirements;Air carrier cabin safety emergency procedures and associated training;Passenger handling practices; andEmergency and safety equipment located in the aircraft cabin. ANDb. Experience in at least one of the following functions:Conducting emergency procedures instructions;Developing cabin safety emergency procedures; orDeveloping handbooks, policies, procedures, or manuals in a type of work or cabin safety technical programs and procedures. ANDc. Experience in at least one of the following areas:Managing flight attendant emergency training, technical cabin safety issues, program management, or line supervisory responsibilities in certificated air carrier flight attendant program operations;Developing operations and training manuals, programs, policies, and procedures to train flight attendants for effective safety of passengers in air carrier operations; orApplying Federal regulations to air carrier operations that was gained in any of the following areas:Emergency procedures training programs and administration, emergency procedures, aircraft evacuation, aircraft evaluation, emergency aircraft evacuation demonstration;Special programs (i.e., crew resource management, exit row seating, carry-on baggage, or passenger information cards); orEmergency equipment or the installation of such equipment.In addition to the specialized experience listed above, the scope of experience must include:Specialized experience described above that was gained in more than one kind of air carrier aircraft (e.g., make, model, series, variant); and A portion of the applicant’s specialized experience described in both paragraphs b and c above must have been gained within the last three years.RECENCY OF EXPERIENCE: A portion of the applicant’s specialized experience described in both paragraphs b AND c (above) must have been gained within the last 3 years. If you’d like to submit a resume or apply for this position, please contact Premier Veterans at abjobs@premierveterans.com . All are free to apply! One of the initial long-term goals of BASC is accomplished in under two years! Besides being a highly desired partner with world class business flight departments that are achieving excellence in Safety Management and Compliance, BASC was conceptualized to be of high value and ease of budgeting. The Safety Dividend provision was implemented at the founding to give some of the investments of BASC members back to them when able. Although a “for profit” entity, the founder could not find a reason to not share and reward excellence, loyalty, achievement, continuous improvement, and safety culture. Any current BASC full-service member, that has been with the organization for six months or greater, will receive the first Safety Dividend in December 2018! Headquartered in Fort Worth, Texas, BASC serves as a logical partner for SMS, regulatory, and operational excellence verification for high performing business aviation organizations. BASC was founded in 2016 and accepted the first member in January of 2017. My name is Robert Lee. I am a doctoral candidate at Northcentral University. 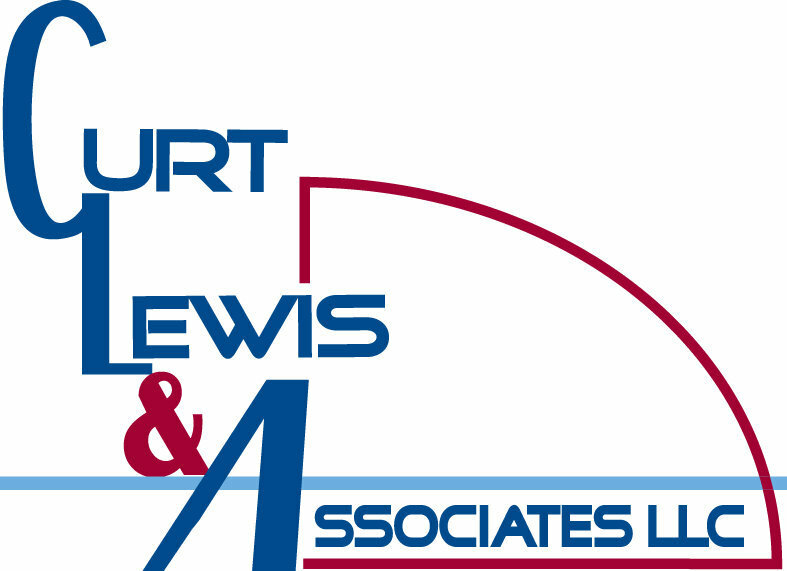 I am conducting a study on employee safety climate in the FBO industry. The purpose of the study is to examine how manager turnover affects safety climate. To be eligible to participate you must be at least 18 years old and be currently employed as a line services professional. The survey should take 10 to 15 minutes to complete. All responses will be confidential and anonymous. Your name and company will not be requested nor linked to you. If you would like to participate, please click on the provided Survey Monkey web link, complete the online informed consent form, and proceed with the questionnaire. Flight Safety Information has partnered with Beyond Risk Management to create a High Altitude Flying Course. This course, led by Captain Shem Malmquist, an accident investigator, professor and 777 captain who flies international routes, is now underway. A key unit in this class focuses on poorly understood high altitude weather challenges that have led to fatal accidents. With other pilots mirroring this comment, it is apparent to all of us that the kind of aviation meteorology course taught by professors like Debbie Schaum at Embry-Riddle University, are not offered to most pilots. In fact, pilots moving up from domestic to international routes typically have little (one day) or no training on the special challenges presented on transoceanic routes lacking radar coverage found on overland routes. 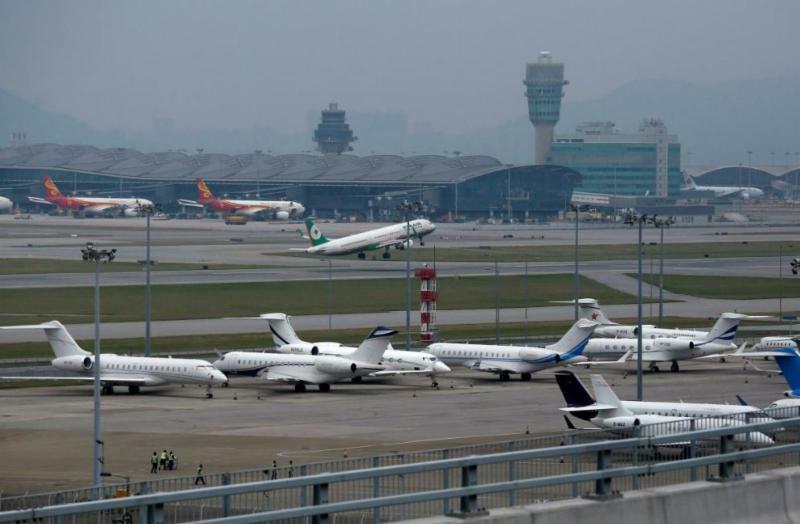 With many major airports located on oceanic coastlines, these challenges can be significant. As Captain Malmquist prepares for the upcoming January course we would like to hear from pilots on this critical issue. A selection of these comments will be published in a future issue of Flight Safety Information. Our long-term goal is to make sure that every pilot receives the critical meteorology training they need to do their job. Here are those questions which you can answer confidentially. Your name will not be used in future reports on this subject. 1. What weather training have you received specific to high altitude flying? 2. Do you feel that this training was all you needed? 3. Where did your training take place? How long did it take. 4. Was this weather training provided when you began working for your airline? 5. Have you had recurrent training on weather challenges? 6. Were you retrained on a new radar system when you switched to flying a different aircraft type. conditions found on transoceanic routes? answer all of your questions? please describe the problems encountered. 12. Have you been in situations where better weather training would have been helpful? 13. Did a lack of training contribute to any difficulties? house, in a classroom setting, online or all three? 15. Are there specific low altitude weather issues that are a concern to you? Feel free to answer any or all of these questions privately. You are welcome to combine your answers into a narrative summary. 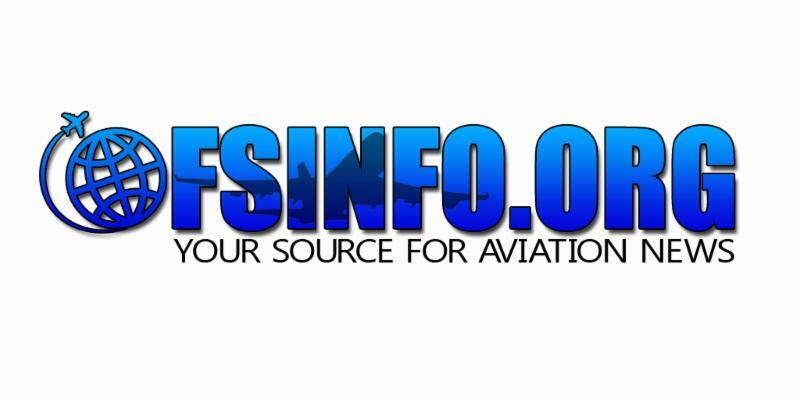 Flight Safety Information (FSI) Newsletter has been publishing timely aviation safety news for over 25 years. FSI has over 100,000 aviation readers on a globally basis. Banner Ads and Push-Ads are Available.